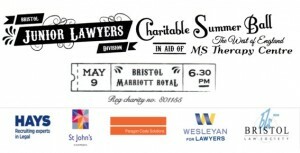 It’s your last chance to book your tickets to the 2014 Bristol JLD Charitable Ball on Friday 9th May, at the Bristol Marriott Royal. There will be a raffle and prize draw in aid of our charity of the year with some fantastic prizes up for grabs. Entertainment will be a live band and disco with carriages at 1am. A booking form can be download from our ball website. Please complete it and return it with payment to the address on the form. You can buy a ticket for yourself only, for you and a guest, or book a whole table if you prefer. More information can be found on the ball website, www.theBristolJLDBall.co.uk.